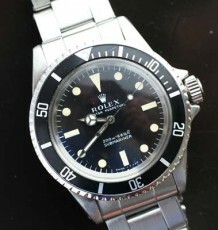 Fantastic vintage Rolex with original black dial and fancy milled bezel. Dating to 1963. 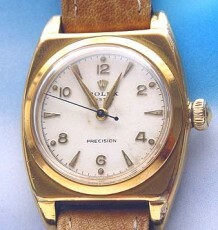 An amazing vintage Rolex that features some of the classic styling cues of these older Rolex Oysters. 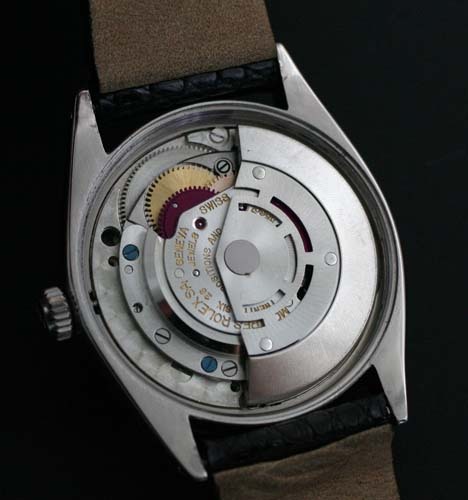 This stainless model carries a reference number of 1003, which indicates it is technically an Air-King sized model with a fancy machined bezel instead of the usual smooth steel unit. 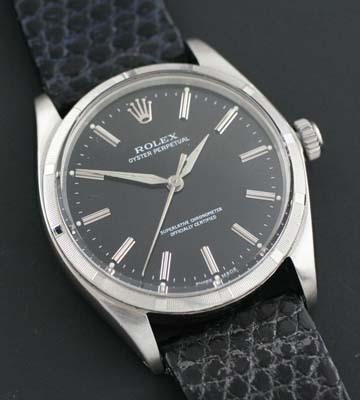 The watch was just serviced and features a factory original black dial and original steel lance shaped pointed hands. The case is in great condition with only a few small marks which are visible in the photos. The caseback has a light engraving which can be easily removed. 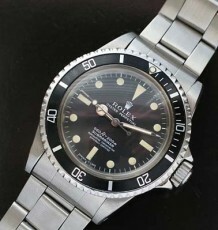 The original Rolex deep black dial features steel raised hour markers and an applied Rolex coronet marker. The famed Rolex Chronometer calibre 1560 movement was just serviced by my Rolex trained watchmaker and is running flawlessly. 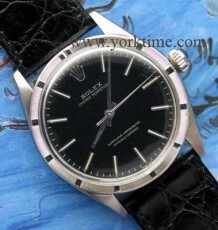 Note the original Rolex acrylic crystal and original signed Rolex Oyster crown. The steel case measures 34 mm wide by 40 mm long and is supplied on the buyers choice of a black or brown leather strap.